I need advice for UI improvement. I created a basic Vue project. 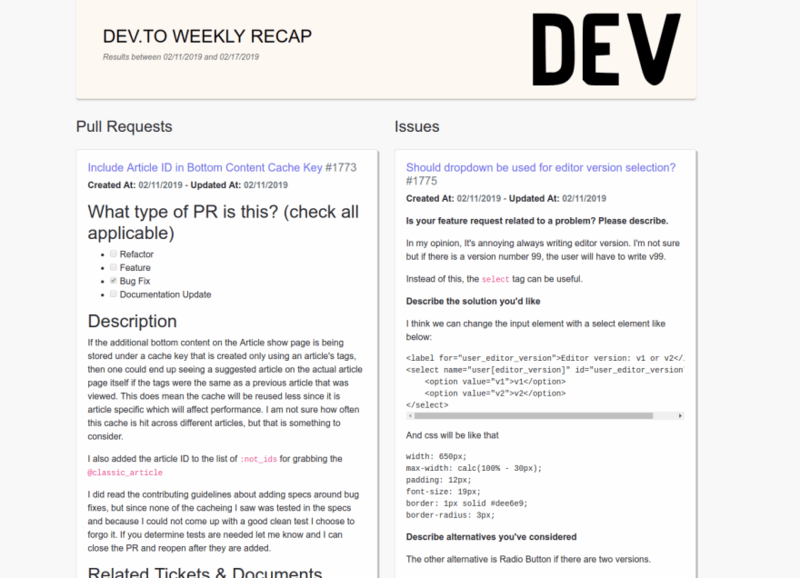 It fetches pulls requests and issues of the current week from dev.to' GitHub repository. I know, it really looks bad. Because I just spent only 10 minutes. So, I didn't have time to think about UI. Now, what should I do to more beautify it? Nice job! This definitely comes in handy. I did a very brief restyle to match the original dev.to design. Swapped a full-screen container-fluid with the regular container for better readability. This may be against the idea of a "dashboard", but I personally think that it's way easier to read through this way. Added extra margin to "Pull Requests" and "Issues" headers by replacing "text-primary" with "mb-4" class. Yeah. It looks amazing. <3 Thanks. 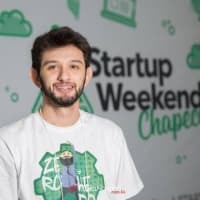 If you have some information about Vue, you can open PR or I can do. Sure thing, I can come up with a PR later today! The PR should be out now. I've added a simple background to code blocks as suggested below, but that lacks syntax highlighting. I merged it. But there should be a joke. I'm getting "Page not found"
But files under the gh-pages branch looks normal. Github api provides pull requests even though it's the issue endpoint. Pull requests can be identified by the existence of the property "pull_request"
Another suggestion would be to add author info, there is user info (name, avatar, profile link, ...) available in the API response.